Reusable culture. With proper care, the kombucha can be used indefinitely to make delicious fermented tea. 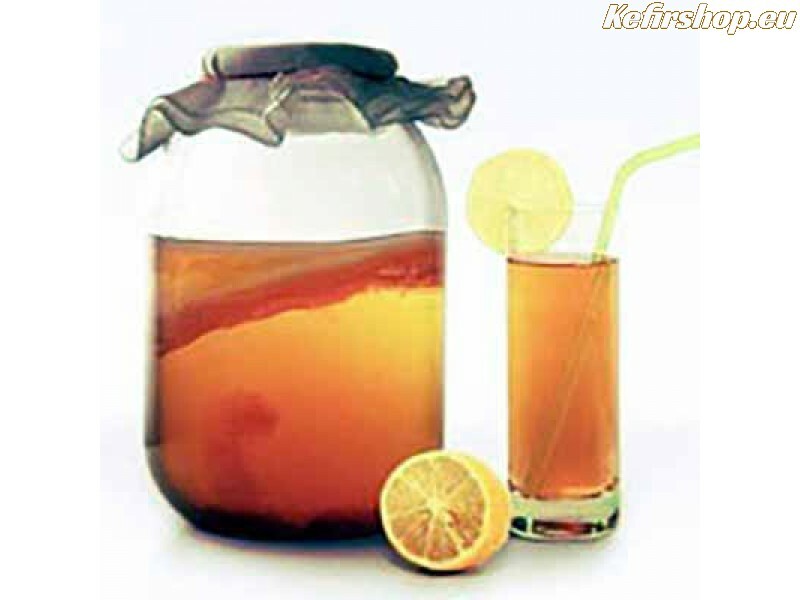 The delivered Kombucha is initially sufficient to make about 1 liter of Kombucha beverage. Kombucha mushroom kombucha starter culture (mushroom, mother, scoby, fungus) growing fast, so you can quickly make more Kombucha drink. You also get a detailed instruction in English for the preparation of kombucha. The SCOBY or kombucha mushroom is a living product. The kombucha mushroom is a symbiosis of bacteria and yeasts. The Kombucha is brewed standard with a Kombucha mushroom, 10% kombucha beverage from the previous batch or white vinegar, black tea and sugar. Fermentation at room temperature for 5 to 18 days. To setup its own culture, you need a Kombucha mushroom. You can order the Kombucha mushroom here. 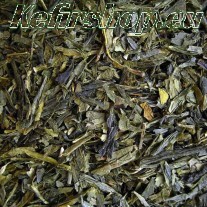 Instructions : Boil a half liter of water and add the tea to the mixture, steep for at least 15 minutes. After pulling off the tea bags or loose tea, add the sugar, stir well to dissolve the sugar. Pour half liter of water in the glass jar and pour the half liter of tea into the jar. Allow to cool to room temperature. Now place the kombucha mushroom into the pot. Cover the jar with a breathable cloth and span the cloth around the neck of the jar with a rubber band. Put the jar with kombucha in a quiet, warm and dark place (room temperature). After a fermentation time of from 5 to 18 days, the beverage is ready. The drink must have a pH-value less than 3. Take the mother and daughter mushroom from the jar and rinse if off with some kombucha beverage. Pour the resulting drink through a sieve and keep the drinks in glass bottles. Repeat the process to start a new batch.